Like many plans it came together at the last minute, following a difficult exam season at the end of my first semester in Germany I decided it was again time for some travelling. I had considered a number of ideas but Ukraine and eastern Europe easily won since it would be cheap and I was already meeting friends from the US in Budapest. I had planned to go to Berlin to meet some friends and figured that would be a perfect chance to start the trip as Berlin has much better connections to the East than Munich. Rather than a direct ICE to Berlin I made plans with a friend to meet up in East Germany then go with a Schoenes Wochenende ticket by regional train to Berlin. 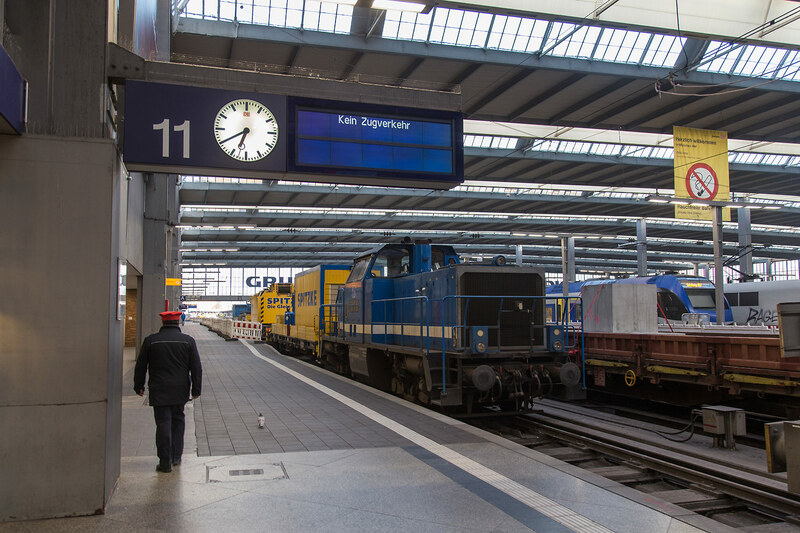 Upon arriving at Muenchen HBF I found the southernmost platforms were occupied by a work train, a unusual sight inside the trainshed. The station is entering what will be a half decade of reconstruction, in May everything except the trainshed will be demolished to facilitate the construction of the second S-Bahn trunk and the reconstruction of the station which was built after WW2 and is insufficient for todays needs without improvements though I am still not convinced the complete rebuilt is the best solution. 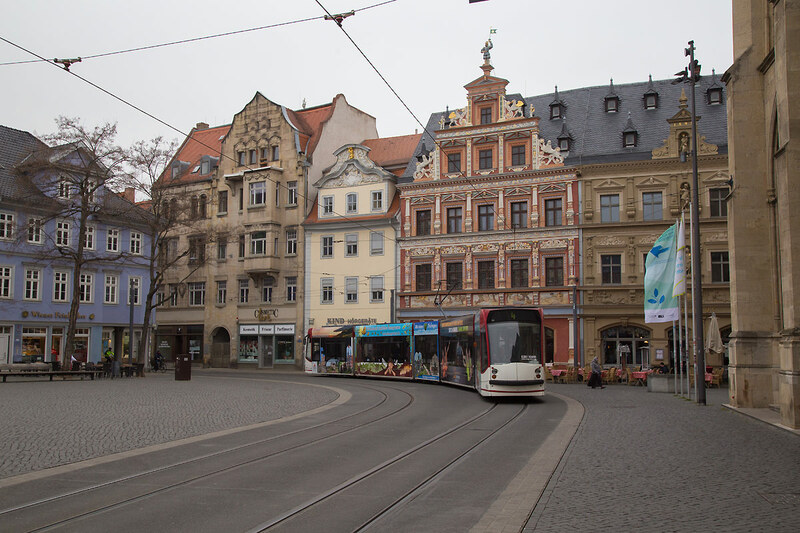 After a quick and uneventful ICE trip I got down at Erfurt Hauptbahnhof, I had a connection onto Gotha but did a quick walk around the city during the 40 minute gap, others had recommended the city and it indeed have some architectural gems and several nice streets where car traffic was banned. Then it was on to Gotha, unfortunately the weather was miserable which put a big damper on my photography plans but regardless after a short ride aboard one of the areas ubiquitous Talent 2 trains I met with Thomas Kabisch at Gotha HBF. The plan was to ride and photograph the Thuringia Waldbahn which was one of the last old style tram networks in Germany still operating with Soviet era Tatra cars as well as a few second hand Duewags. 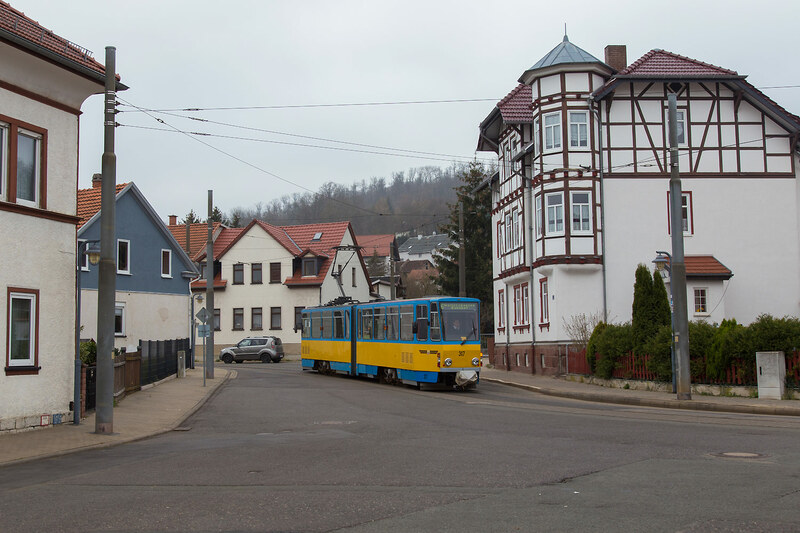 The other attraction is the long interurban segment, another rarity on modern day German systems. Of particular interest was the branch to Waltershausen which operates exclusively with rare double ended Tatra KT4Ds, with the second drivers cab added locally. It was nearly sunset as we left Naumberg and quite late upon reaching Berlin. The weather in Berlin during the two days proved to be poor for photography, atleast during the time I had for it but it was good with catching up with some old friends and meeting for the first time others. 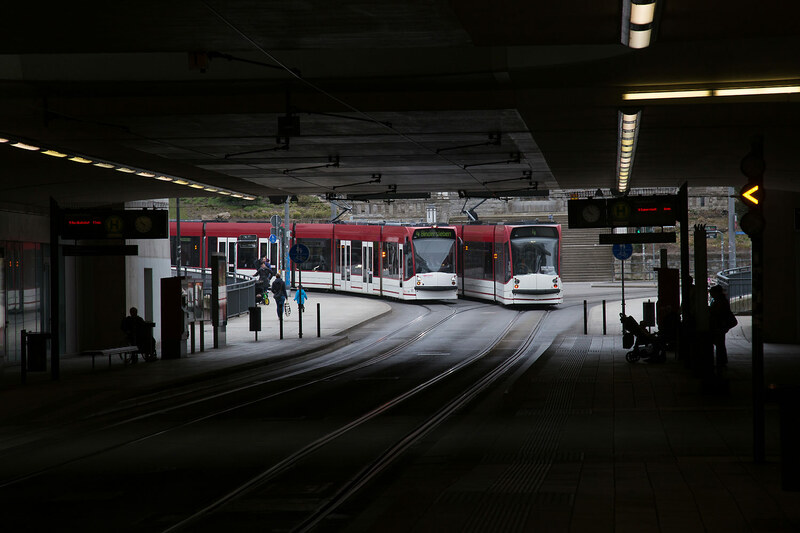 I also took the chance to ride a bit more of the cities extensive transit network, one of the most extensive in Europe. The grim weather also provided a good reason to go visit some museums including the Berlin wall memorial which had been something I had neglected on past visits. 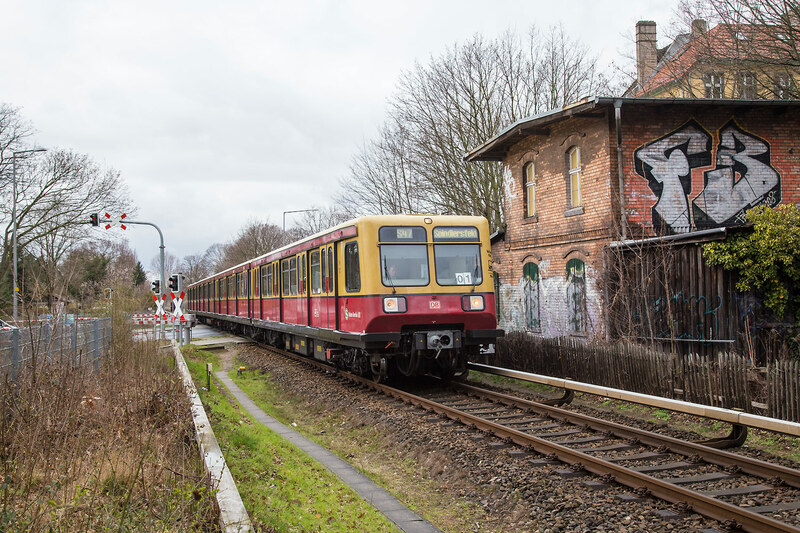 Below left: A DDR Era S-Bahn set approaches Oberspree on the S47 branchline. Below right: At the top of the Berlin wall museum there is an observation platform looking over the preserved segment of the wall and “death strip” which has been sealed to prevent inevitable vandalism, so this is the only way to view it. 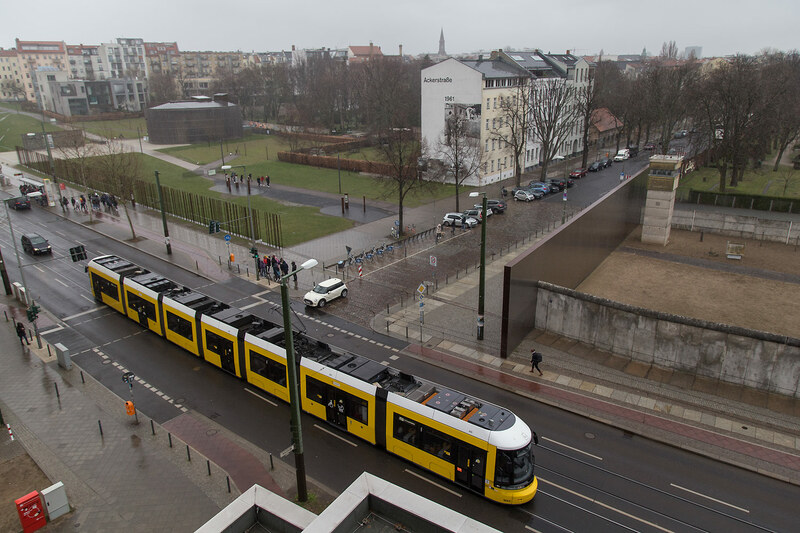 Interestingly the tram is running along Bernauer Strasse which was in West Berlin where the entire tram network was removed, it was only reinstated years after the wall fell to better link the new Hauptbahnhof. Another Berlin goal was some urban exploration and set out with a friend to visit some sites around town on Tuesday afternoon, unfortunately access to a few planned sites was more difficult than expected but fortunately the expedition was redeemed by a visit to the old Siemensbahn, an abandoned S-Bahn line which was built by Siemens in 1925 to transport workers. 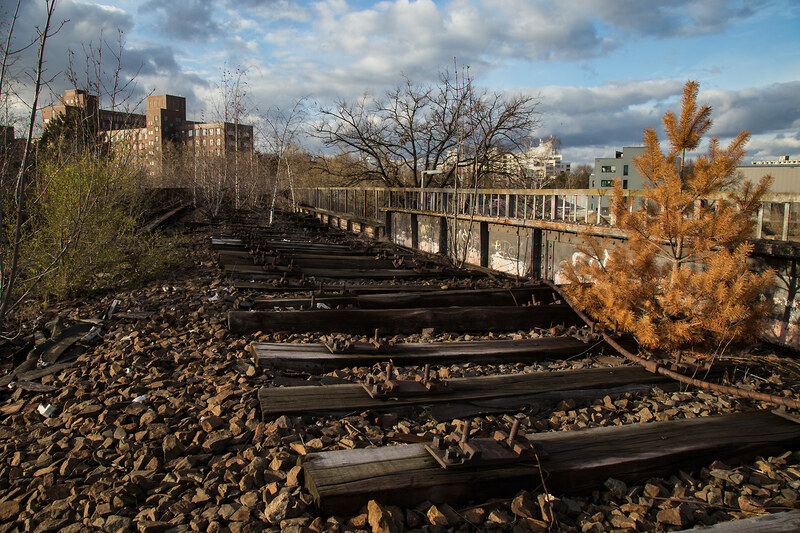 The line closed in 1980 and has sat abandoned since, nevertheless its planned that the line will oneday be reopened. The rain had cleared and some sun shone through the gaps in the clouds, perfect for photos. However with such conditions it was all too easy to lose track of time which was a problem for me as I had a night train to catch….. I often come close to missing trains but this time was all too close, only thanks to Thomas retrieving my other bag I made it with just enough time to grab a Doener as I had not eaten. 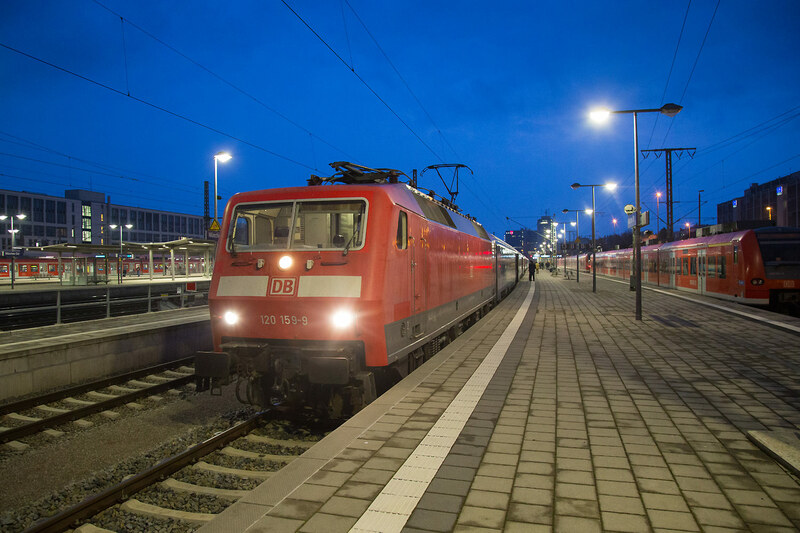 Happy to be onboard I enjoyed my Doener and a Nohab beer from the open window of my sleeper as the Berlin suburbs disappeared into the gathering dark…. The next morning I awoke somewhat refreshed and checked to see where we were….somewhere unpronounceable but looking at the map much further than we should be from my destination of Przemyśl, Poland. Not that I minded the hour late running as I had the whole 3 person compartment to myself and went back to sleep for a bit. 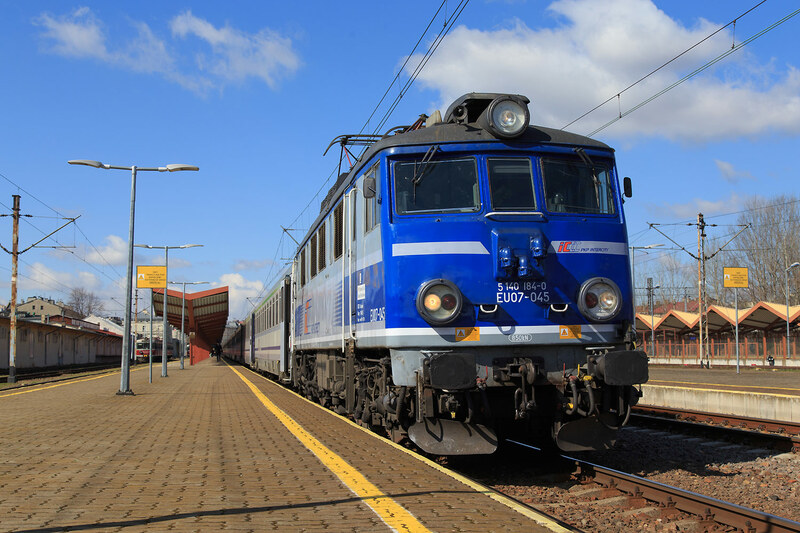 At Przemyśl I walked up to photograph our power, a classic PKP EU07 which had replaced the Taurus at some point along the way from Berlin. 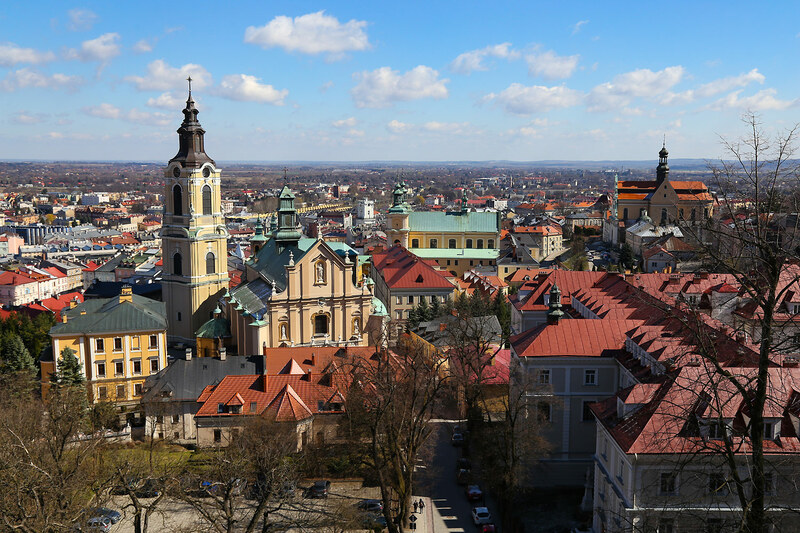 I had not expected there to be much to see in Przemyśl, border towns don’t seem to be very interesting most times but I was pleasantly surprised to be proved wrong, the city was full of nice architecture and for a few Zlotys I was afforded a nice view of the city from a preserved fort on the hill. After spending too long searching for lunch I of course almost missed my train again as the international platform is a bit challenging to find. It is completely separated from the rest of the platforms to prevent anyone except those with valid travel documents from boarding the train. The train itself was a rather modern EMU, not quite what I was expecting for my first Ukrainian trainride. Shortly after departure we came to a halt again and the Polish border police came aboard, the border check was quite quick…too quick as I would later discover the checker never gave me an exit stamp…this would cause considerable discomfort later…. 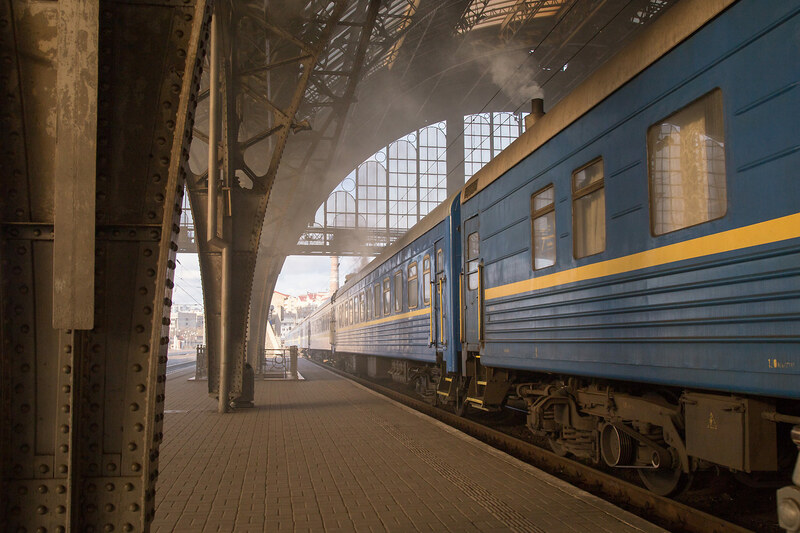 After entry checks on the Ukrainian side we arrived in Lviv, where I’d get a first glimpse of real Ukranian Railroading. 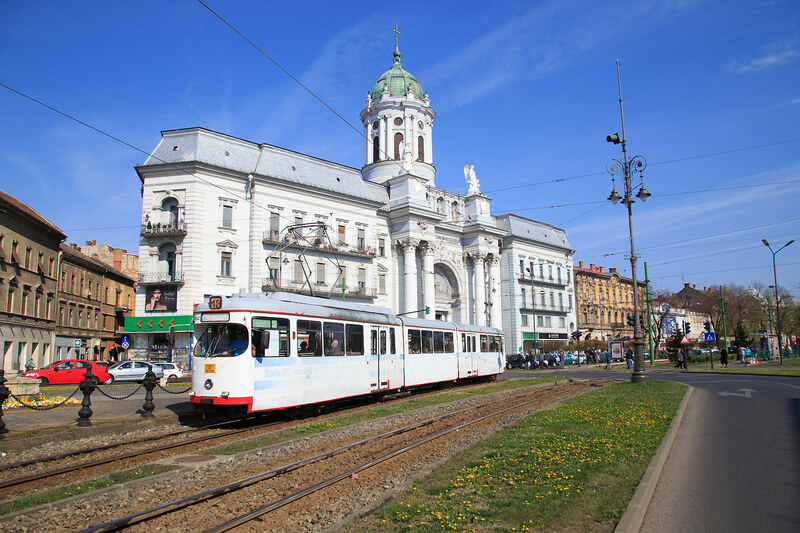 Lviv station is beautiful and surprisingly accessible, unlike most places in Europe one can still cross the tracks at grade (atleast at the pedestrian walkways) and no one bats an eye making photography much easier. Unfortunately our arrival was just too late for me to photograph the evening diesel departure but there was still plenty of electric action, just as well since the rest of the trip would be all on diesel lines. 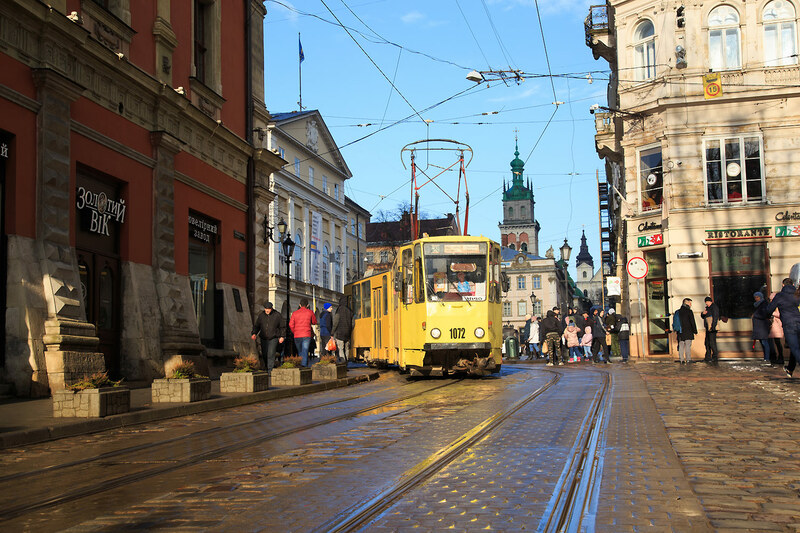 The next day was planned for a normal day in Lviv, having come all this way I wanted atleast one day in Ukraine to see things other than trains. It turned out I made a good choice as the weather was very grim the next morning like what I had left behind in Berlin. Not knowing really what to do I joined a free city tour which turned out to be a good decision as found some fellow travelers to hang out with for the day. The weather was much colder than I was expecting and after the tour found a second hand shop to buy another jacket which turned out to be a very smart investment. 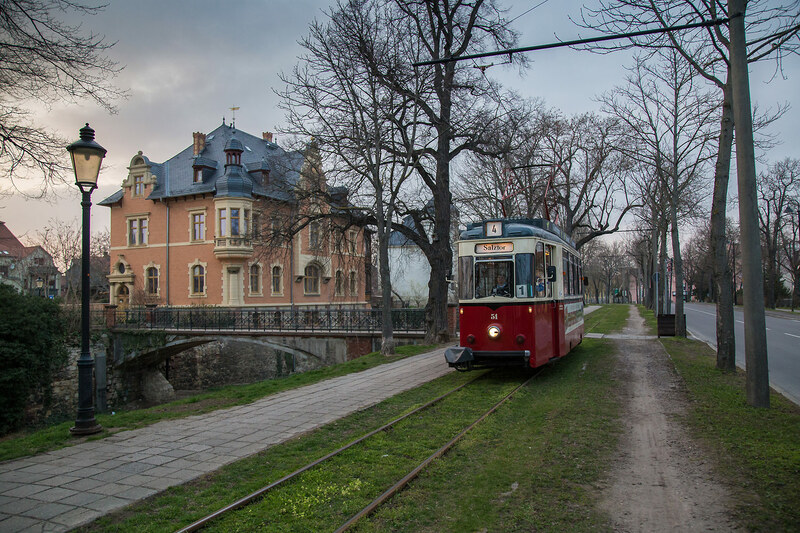 In the late evening the sun finally came out providing some great light to photograph the cities old Tatra KT4D trams as well as climb to the top of the Lviv city hall. One can really see the Austro-Hungarian influence looking at the old city, no doubt much different than what one will see in the rest of Ukraine. The next morning I had to be up very early to catch my 06:35 train to the Carpathian Mountains, unfortunately the google map public transit schedule turned out to be accurate and I woke up to find no trams running. Thankfully I had left some time and was travelling light so briskly walked to the station, arriving at the same time as the train was pulling in from Kyiv. I had booked in hard sleeper as it would be a relatively short journey and things were about how I expected with the coach in deplorable condition, though I’d find on other trips this isnt totally representative of the UZ fleet. The track quality was as bad as we slowly crept through the Lviv suburbs, the pace was much slower than I had experienced about anywhere else in Europe. Finally south of Ivano-Frankivsk I got a glimpse of our power, surprisingly a 2TE10 rather than the expected 2M62. 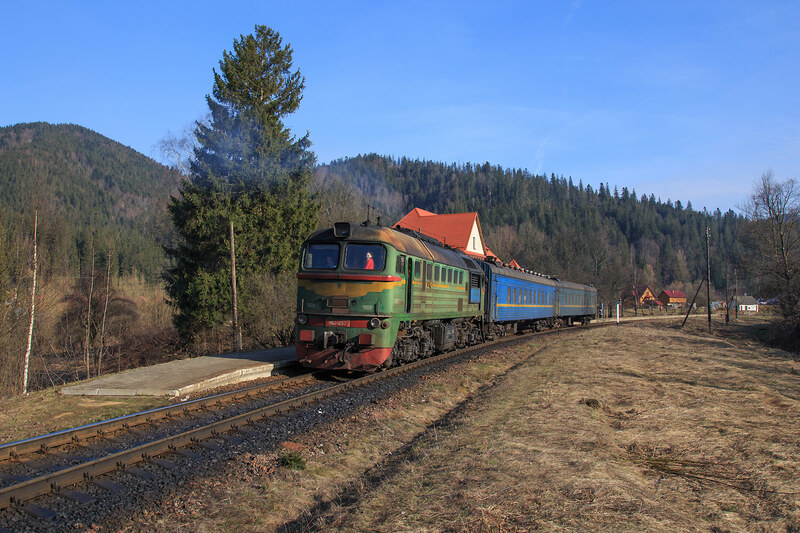 As we approached Tatriv I decided to try to bail and shoot the train departing, I tried my best to avoid all the car attendants, no easy task since there is 1 for each of the 12 coaches I had to walk through. Finally the deep bass drumbeat of the 2TE10 was audible and I waited in the vestibule of the 2nd coach from the head. My plan would have worked but unfortunately the sun angle turned out to be much less favorable and a small cloud passed over the sun making that a moot point anyways. There was a second express train following but I basically blew that shot as well, with not much to show for my efforts I waited at the bus stop near the station and after 30 minutes a combi van showed up to take me to Vorokhta where I hoped to shoot the trains returning. It turned out to be a bit more difficult than I expected to reach my planned photo position and ended up missing the first train. 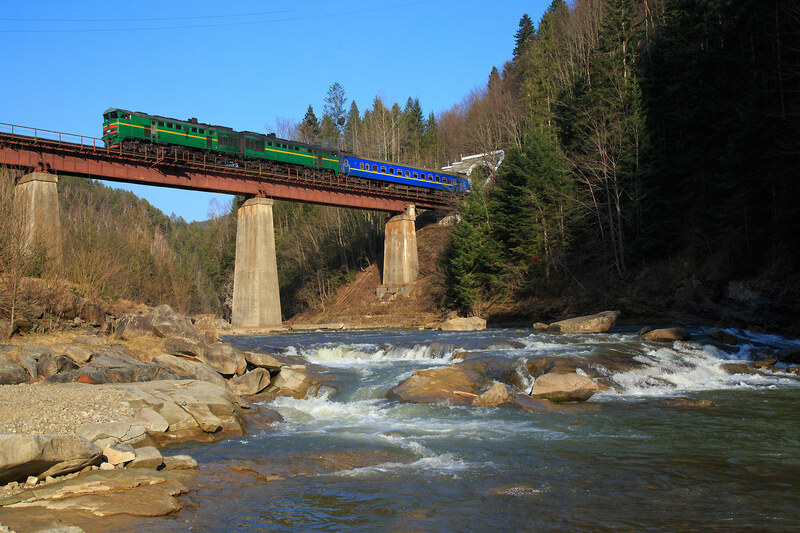 No matter the second one was right behind, the combination of big Soviet diesels and the ornate Austro-Hungarian arch bridges certainly made for an interesting juxtaposition. Traffic on the line is light so the next thing would be the Ivano-Frankivsk bound local which I took up to Tatariv where the light was surprisingly nice though I got a bit distracted by the lady in the red riding in the cab…. After some confusion I finally got ahold of the owners of the guesthouse, it took a bit of google translate and handgestures but I had a room for the night at quite a affordable price. Since it was the offseason I was the only one in the whole guesthouse, something that I’d find throughout my Ukraine travels. The morning dawned very cloudy in Tatriv but the weather forecast showed full sun on the south side of the pass. 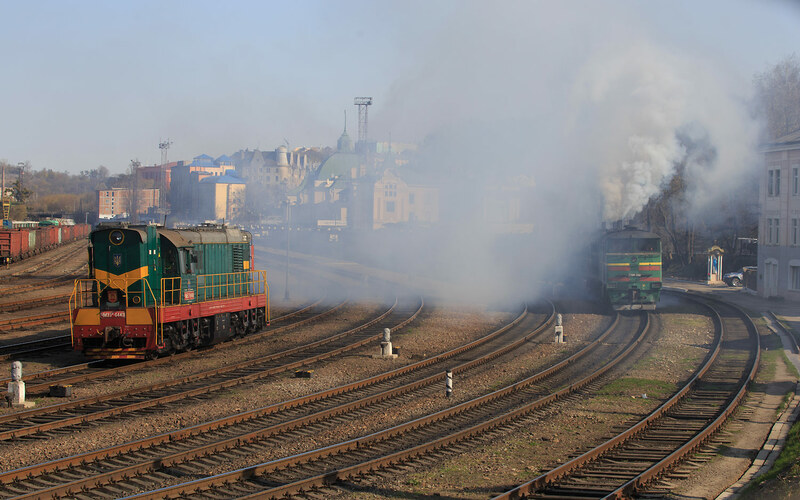 Unfortunately by this point I had missed the local train so quickly bought a ticket on the UZ app and went to wait for the approaching Rakhiv passenger which appeared behind yet another 2TE10M with smoke pouring both out off the engines and coaches. 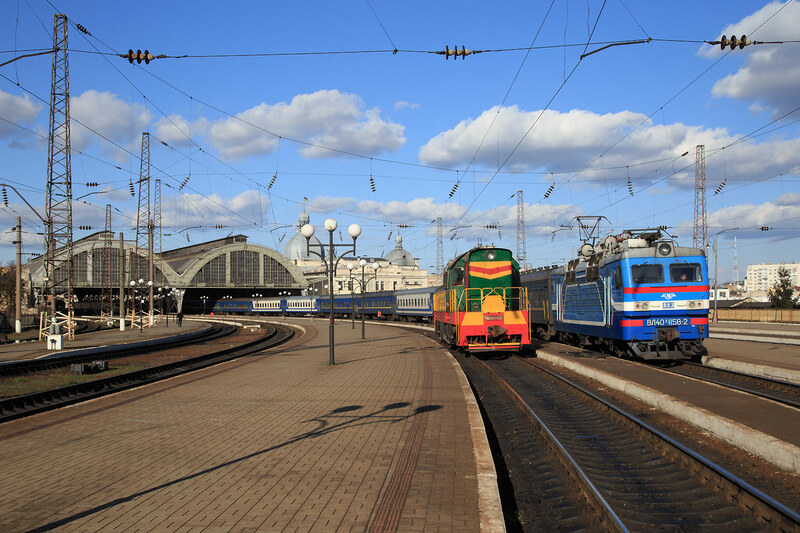 It was indeed totally sunny on the south side of the pass and after some more confusion trying to find transport in Rakhiv made my way to Yasinya where I knew there would be a good shot of both the north and southbound passenger trains crossing a bridge. The extent of the gradient can be clearly seen by the zig zagging tracks. With no more trains for over an hour I walked towards Lazeshchyna where the line makes a horseshoe loop meaning good light for the evening eastbounds. While walking on the tracks in rural Ukraine is no problem I found myself constantly fending off angry dogs from adjacent backyards which got very old very quickly. Once through the village I finally found some peace and quite to wait for the late evening night train. The sound and spectacle of the 2TE10 working upgrade was something to behold, enough so that I wasn’t that annoyed in having to wait until past 21:30 for the local back to Tatariv as amazingly in over an hour not a single bus or combi van passed through town. I was really tired after the last night, and I just could not get out of bed….due to the time change all the night trains were supposed to be an hour late so after waiting until near the last minute I headed out to try to grab a shot of the morning Rakhiv passenger. Unfortunately in this case with so much slack time Ukrainian trains can actually run early sometimes and no sooner than I stepped out the door I heard the bass boom of the approaching train and had to watch helplessly as it passed by in the first rays of sun, 20 minutes early. Well atleast I was awake now so packed up my stuff and started walking north to try to find a spot to photograph the local from Kolomya, after several KM I found my spot along the Prut River in a scene that reminded me of something out of the deepest hollers of Appalachia. Conveniently my spot was right near a bus stop and even more a combi van showed up exactly as I had gotten to the road. After a short and cheap ride I arrived at Yaremche where I tried to put my own spin on a frequently photographed angle. Some places are photographed alot and there is usually a reason for that, I liked the spot so much that I decided to wait for both the afternoon trains from Lviv here. After photographing the two afternoon northbounds I found a spot for Pizza which was much needed not having eaten any real food the last two days. Not reading Cyrillic can make going to a restaurant an absolute pain but once again google translate bailed me out with the photo translation feature. Following pizza I quickly made my way down to the Prut River again to hopefully photograph the local train and the evening night train. Well I would get one of those, the local did not show until 2 hours after schedule by which time I was already waiting for a bus back home. Surprisingly the bus driver spoke English and was excited to practice with me and we ended up having beer and dinner after getting to Vorohkta. It was a good thing I ran into him as my booked hostel turned out to be closed for the winter so I ended up staying at the “expensive” ($15) hotel where the bus drivers spend the night. While the room was nice since it was the off season the heating was turned off making it not fun to do anything other than sleep there which is what I promptly did. I was feeling a bit like a fool this morning, it was cloudy again again and I was dead tired so enjoyed the sound of the morning night train from bed, the 2TE10’s certainly can be heard from miles away even indoors. 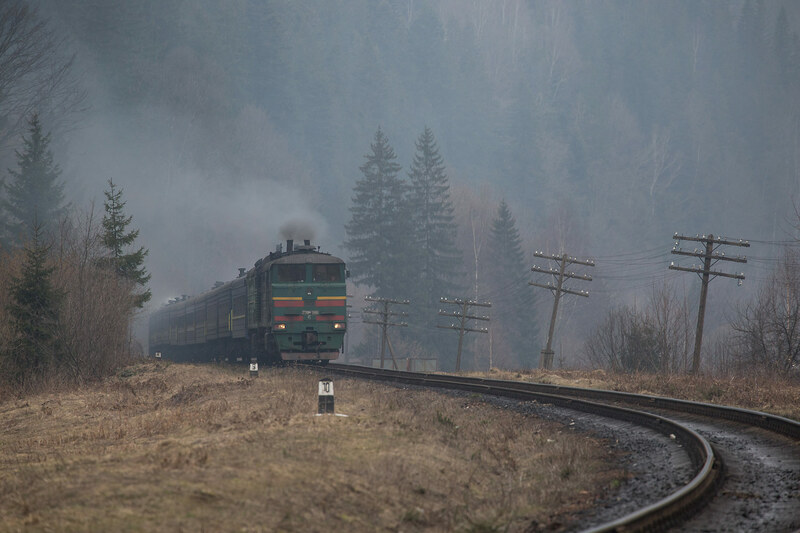 I had planned to go over the pass towards Rakhiv where the sun was supposedly shining but UZ had other plans for me, in my best google translated Ukrainian I asked for a ticket to Kvasy on the other side but the ticket attendant simply said nyet….. The local arrived from Kolomya and I got on to see what would happen, however nothing was the answer as the ticket agent had said. The train would not be going over the pass today for whatever reason. Not wanting to bother with hunting for some road transport I resigned myself to shooting in the clouds. One location that really works better on a cloudy day is the old stone arch located a few KM south of Vorohkta near the summit so I slowly made my way there. 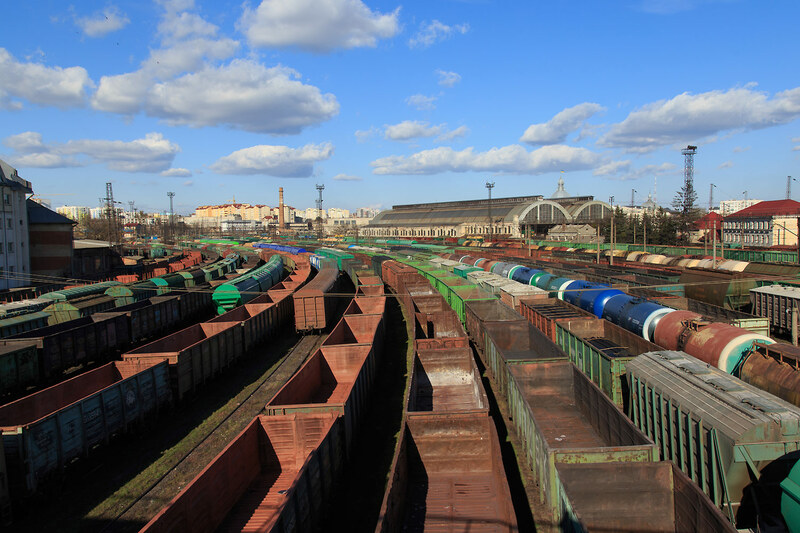 The grey and cold weather may have sucked but the acoustic experience of hearing the train climb out of Vorohkta definitely did not. After shooting the downgrade train I slowly made my way back to the cold hotel that was waiting for me, stopping by the depot to see my planned trains still sitting there waiting until the evening to head back to Kolomya, half a 2TE10 was also stabled in the siding for a work train making for an interesting comparison in Soviet loco design. It wasnt supposed to be cloudy but low and behold it was so the same story once again. 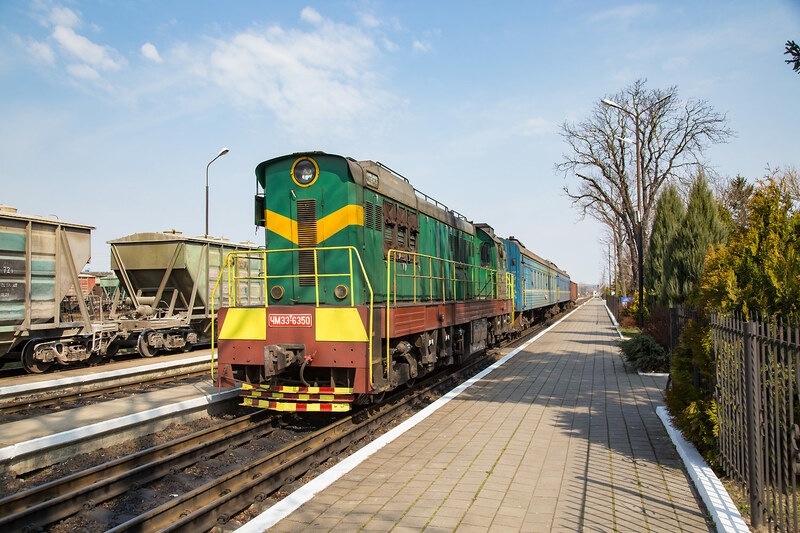 I had planned on photographing the afternoon train to Rakhiv before catching the counterpart to Kolomya to continue my journey onto Chernivtsi. 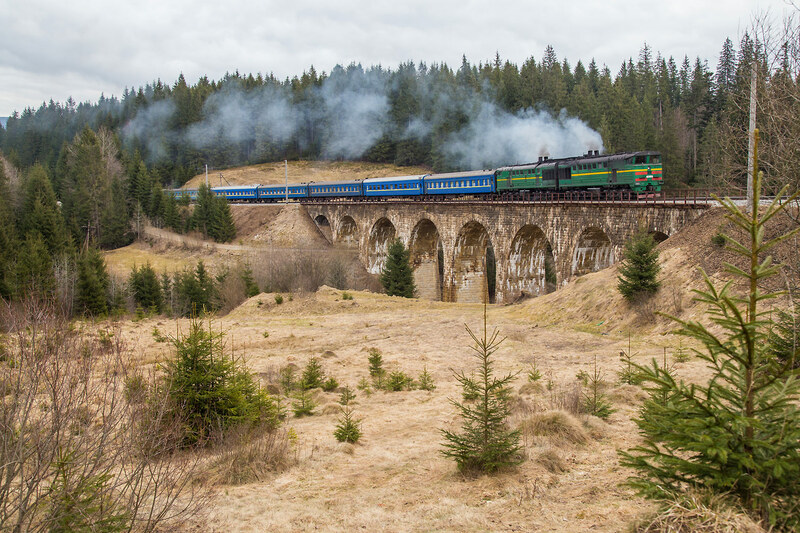 So I hiked up to the famous curved bridge on the outskirts of Vorokhta and waited….and waited….soon it became dangerously close to time for my train so I bailed. Either the southbound was cancelled or extremely cancelled but in any case I made it back to the station just in the nick of time. It was a short but slow ride to Kolomya where due to the scant local service I would have to continue onto Chernivtsi by bus. After figuring out the local bus station was not near the train station I got a local bus and took a bumpy ride through the small town. The bus onwards was not so much a bus but another small van, typically of these shorter distance trips. 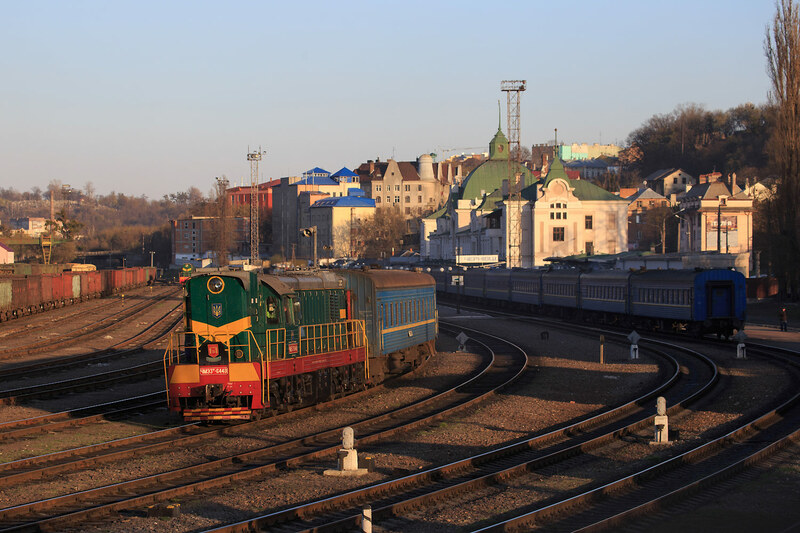 I arrived at Chernitvtsi late in the evening having basically wasted the whole day but what to do…alteast there was some nice light for some shots of the stations resident Chme3’s making up passenger trains. Afterwards I made my way up to my hostel in the center city which turned out to be one of the nicest I’ve stayed at anywhere recently. 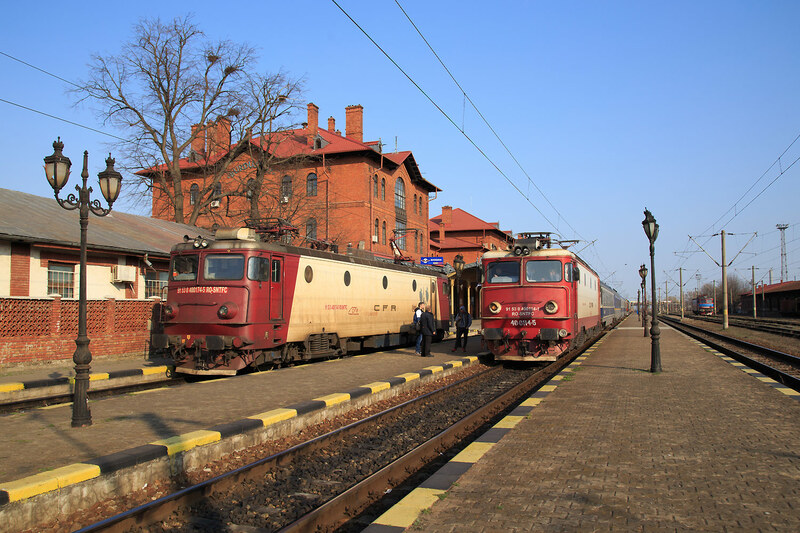 Chernivtsi is a bit of a mecca for loco hauled local trains, in the morning local services almost all hauled by Chme3s radiate out of the city and then return in the evening. I picked the local to Stepanivka which I hoped would be a mixed train but was sadly just a single loco and coach today. After another slow roll through the countryside we arrived at Stepanivka where the train meets the local towards Zalinishchky, surprisingly only a few passengers used this connection most having got off at the previous stop. The main attraction of this plan was the chance to photograph the massive but very underutilized bridge at Zalinishchky, the bridge only sees 3 regular daylight moves, two being the same local coming and going. 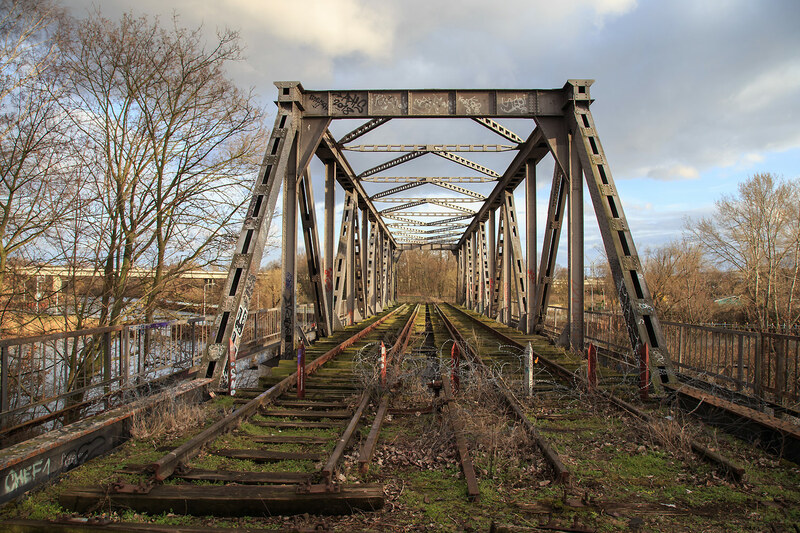 Supposedly the bridge is in poor condition and as a result has rendered the line unusable as a through route for freight. The train stops just before the bridge on the east side so it was a nice easy climb up a neighboring bluff for a great view of the bridge, what a shame this is about all the action one can regularly see here! Thinking my rail photography here was done I walked back to the road along the river which was surprisingly nice since there were no cars or dogs. 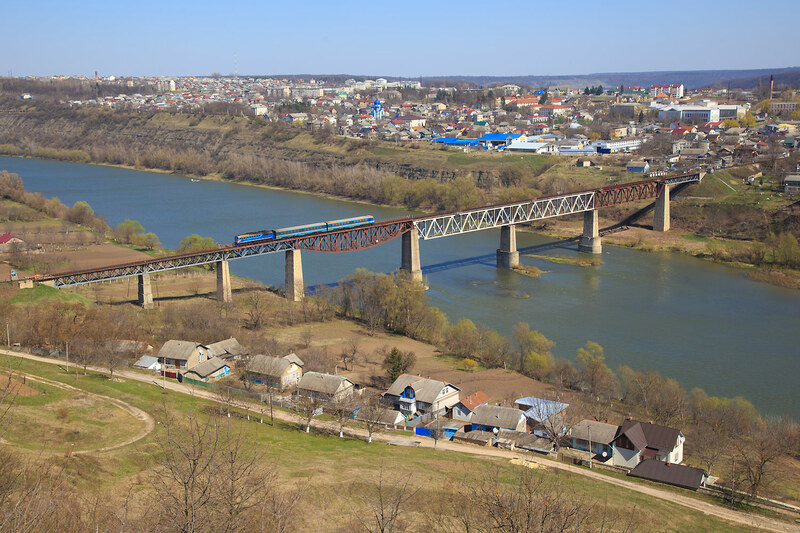 From near the road one can get a great view of Zalinishchky which sits in the oxbow of the Dniester River, it has a long and somewhat troubled history with many battles fought here over the years, most recently when the Nazi’s laid siege to the city firing form these same heights. Oh and of course while I was up here enjoying the view what would show up but another train?! Even from here I could hear the unmistakable rumble of a train crossing a bridge and looked over to see a 2TE10 hauling a single inspection coach. After a short walk into town I made it to the bus station and found transport back to Chernivtsi. Upon arriving in town we passed by the freight yard where a 2TE10 was standing ready on a freight. 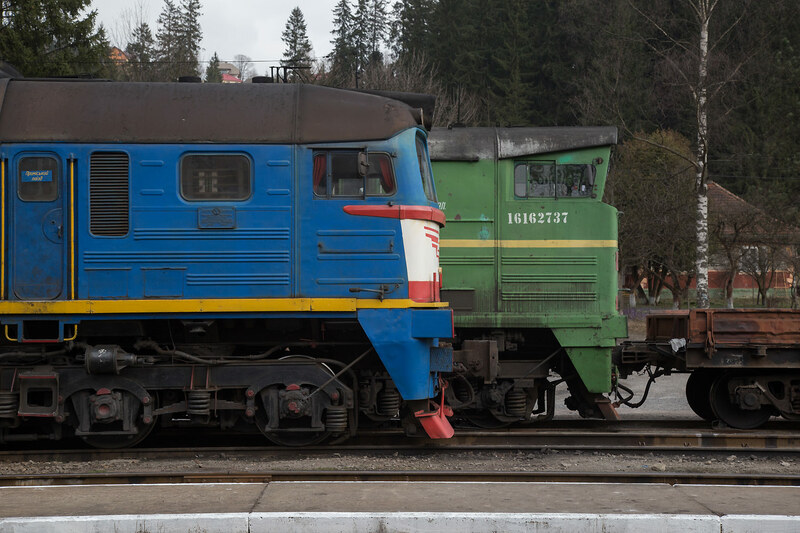 I quickly tried to backtrack on foot and was no more than 50 meters from the head end when I heard the sickening sound of the slack being pulled out and watched in dismay as my perfectly lit freight slipped away…..
Well atleast there would be another 2TE10 departure as the Ternopil Passenger was getting ready to leave with another pair. These engines are known for their smoky starts but I wasn’t quite expecting THIS. Had I known I’d probably chosen a different composition, for a few seconds the train pretty much disappeared in its own cloud of smoke. It was time to leave Ukraine, I had planned to meet some friends form the US in Budapest in 2 days an I still had a bit of distance (exacerbated by schedules and speed) to cover. The plan was to take the local train to the border of Vadul Siret and then after 2 hour wait continue with the Romanian train to Suchvea. The train itself was quite interesting, another Chme3, two coaches and 2 hoppers that seemed ready to be scrapped. After 2 hours of waiting and somehow not getting arrested for photography I was the only passenger aboard the crossborder train. At the Romanian border things did not go smoothly however, the border inspectors were not pleased with the missing EU exit stamp and asked if I could prove that I had atleast 500 euros to support myself while in Romania. Of course I had such in my bank account but since we were in the middle of nowhere there was no way to prove that and of course was not carrying such amounts of money in Ukraine in cash. Thankfully I guess either they were able to reach Polish customs on the phone or decided that with my US passport I should be able to go through….either way I was thankful as we left the station and finally relaxed a bit to the sound of our Sulzer diesel which was sounded quite like an ALCO at times. Suceava was a nice surprise, the station was busy and the building was beautifully restored, I’m not sure why but it felt really nice to be back in Europe, things seemed a bit more relaxed than in Ukraine. Overall Romania was much different than my expectation, everything seemed very modern from the small bit I saw, probably a mix of massive amounts of EU funding and me having been in Ukraine the last week. After 2 hours it was time to head west through the night towards Arad. I was this time joined in my compartment by a Romanian college student who spoke great English, it was nice having someone to talk for a few hours as we climbed the unexpectedly scenic mountain line before calling it a night as darkness fell around Vatra Dornei. 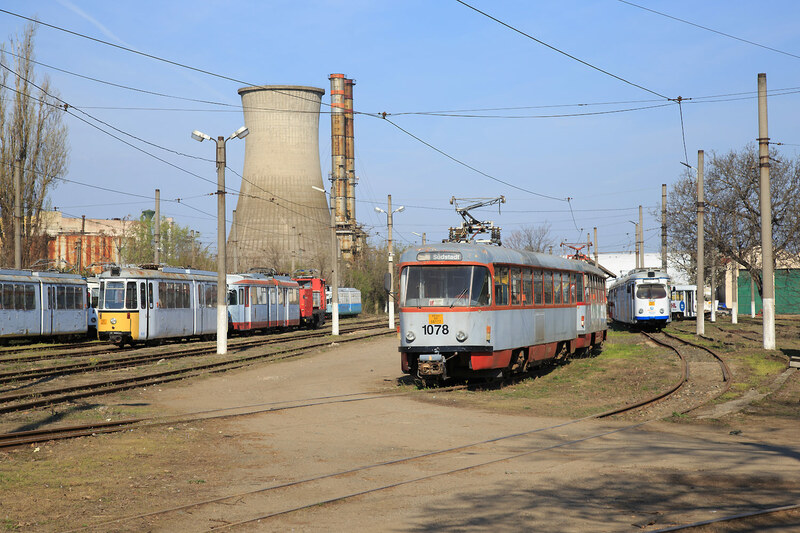 My last railfan goal of the trip was to photograph the “Duewag museum” of Arad, over the years many of Germanys old trams have found their way to Romania where they replaced some truly ancient models. Of particular interest were several former Innsbruck GT6s which were supposedly still in service here. 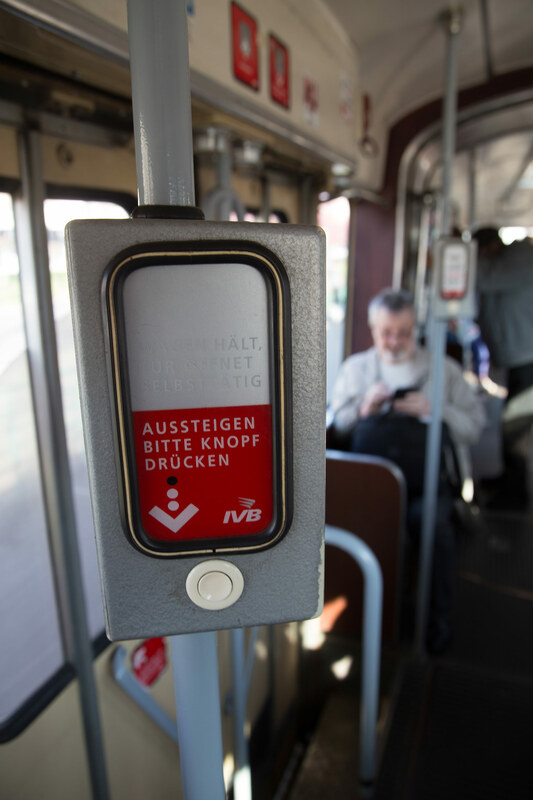 These cars were a important childhood memory for me as I rode them around Innsbruck when living there in the summer in 2003/2004, they were some of my first experiences with urban public transit. No sooner had I bought my day pass when an Innsbruck GT4 showed up still in fully Innsbruck lettering and even still featuring German ads, very fortuitous as it was the only one I’d see all day. The tram was like a time machine both inside and out, seemed like nothing had been changed at all in its decade in Romania. I only had a few hours before my train onto Budapest but managed to ride much of the city network and even a short visit to the depot where I was escorted around the property by the security guard. Unfortunately I missed the interurban line due to scheduling and time constraints, I have a feeling I will be back though. The place is truly like a museum with so much variety in vehicles. After a few days of catching up with my friends and doing normal people activities I had a day to explore Budapest some more before catching my night train. Since my visit last summer I’ve wanted to cover the entire Budapest tram network, I made some big progress this time but the network is so massive I think I will need atleast one more visit to do that. In addition I rode a bit of the suburban network which is equally interesting, for urban transport lovers Budapest is a must visit. After a reasonably good sleep despite the rather rude awakening by German border patrol I arrived in Munich at 6:20, construction work is apparently still underway as the train was terminated at Munich Ost. The Class 120 hauling the train is among the last in service, the entire class will probably be withdrawn by the end of the year. 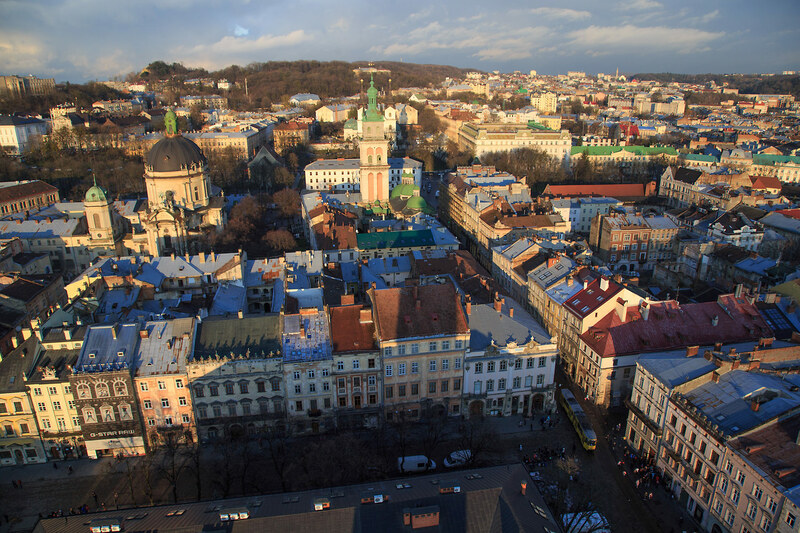 I’ll admit I had alot of misgivings about going to Ukraine, it was definitely stepping outside of my comfort zone as once outside of Lviv I don’t think I saw another foreigner. However I can understand the intrigue, even though its still technically Europe its like nowhere else I’ve been on the continent, it seems much of the country is much like how it was during Soviet times. The mountain line to Rakhiv of course was absolutely stunning and I think warrants another visit sometime, maybe when the landscape is a bit more colorful. 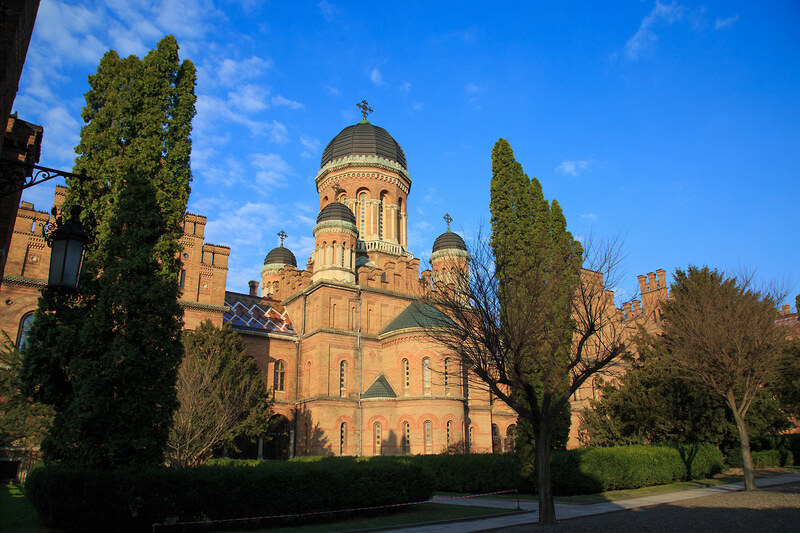 Romania was also a really pleasant surprise, I wasn’t expecting it to be that interesting and knew practically nothing ahead of time but it also deserves a revisit. The cities seem quite modern and pleasant and in between there was some spectacular scenery even if I saw it only in the fading twilight. The rail scene was interesting too with all manner of old equipment. With the semester about to start again it will be awhile before the next travels, but on the next break hopefully will be able to head east again, theres clearly still plenty to see.